See for yourself how outcomes like Kuehne+Nagel's are possible with the Mendix platform. E-commerce has made the process of purchasing products – from bulky auto parts, hazardous chemicals, prescription drugs, specialized bicycles, unevenly shaped furniture, fragile stemware, to perishable foods and beverages – much simpler. But it’s also created intense pressure for companies to deliver those products even more swiftly and efficiently than ever before. Manufacturers who may have once handled part or all of the shipping logistics in-house are leaning harder on logistics service providers for more comprehensive, immediate help in order to stay competitive. E-commerce has also left logistics providers in a lurch as they attempt to figure out how to move swiftly without sacrificing the dependability they are known for. Kuehne + Nagel holds the expertise to handle all the pieces of the journey – plus a whole lot more — behind their warehouse doors. But like the big manufacturers that they serve, Kuehne + Nagel has also had to adjust its traditional application development model to keep pace with its clients, who need not only speed and efficiency of delivery but customizations to better serve their markets. To remain one of the top logistics providers in the world, Kuehne + Nagel sought a way to deliver those customizations, keeping up with the pace that e-commerce was setting. Especially for savvier e-commerce companies, complete with marketing teams who want to test new approaches and make changes on the fly, Kuehne + Nagel realized that they were simply not going to be able to deliver customizations quickly with their static, warehouse management system (WMS). Changes to their WMS could take six to nine months due to the intricacy of the system, and any modification could have a ripple effect. “We could not cope with the pace of change that was requested by [some] e-commerce customers,” says Godschalk. With their approach, exposing their WMS and undertaking changes at breakneck speed, Kuehne + Nagel became the contract logistics company to crack the e-commerce code. This became clear when they addressed concerns of a Fortune 500 beverage client with serious doubts about Kuehne + Nagel’s capabilities, according to Godschalk. However, the low-code middleware solution they built assuaged any fears the client had. Kuehne + Nagel went live with the solution within four weeks. More importantly, they could make changes with unprecedented agility — each change took two weeks or less, depending on the complexities. “We showed this customer that we were capable of reacting in a very short period of time, which gave them confidence that we were the right partner of choice…and that we have the agility to cope with those changes and keep pace with whatever the market requires,” says Godschalk. 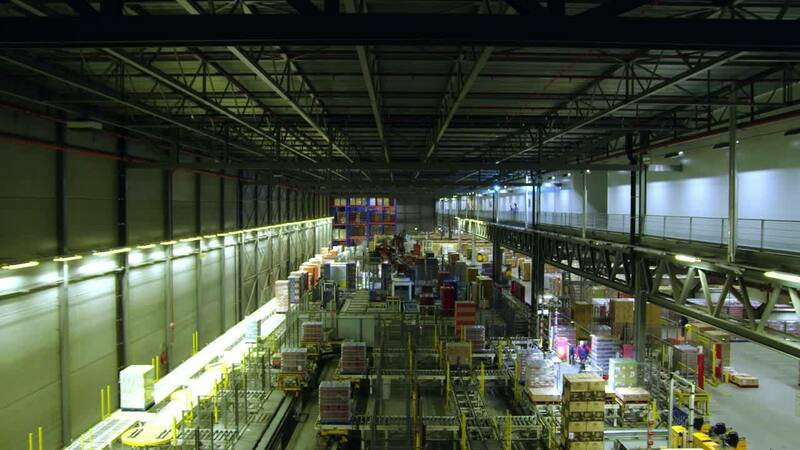 With the right combination of speed and control, Kuehne + Nagel maintained the steady warehouse operations that they’ve been known for across the globe while embodying the agility e-commerce companies expect. With their ability to customize and change on the fly – a tall order for a company their size – Kuehne + Nagel have since brought on more Fortune 500 firms as clients, ranging from a healthcare company with a prescription delivery model, a beer brewer changing its business model to deliver to individuals rather than stores, to a supermarket with distribution efficiency challenges. “By showing off that we could actually do this, some other big brands came to us to help them to enable their strategy on e-commerce,” Godschalk says. The supermarket customer specifically struggled with efficiencies in their warehouse inventory management and shipping logistics, asking Godschalk and team to improve their process. “What those supermarket chains like to see is full trucks,” Godschalk says. Knowing that one full truck, rather than several half-empty trucks, is more cost-effective, the supermarket customer was asked to provide their weekly forecast, allowing Kuehne + Nagel to conduct the ordering with an app, which dealt away with the logistical complexity and opacity that the supermarket client was experiencing. This level of simplicity and transparency made its way into another customer experience with Kuehne + Nagel. “We just made the information transparent for the supermarket chains, for our customers, for our manufacturers, and for us as a logistics service provider so that we can plan in an optimum way for deliveries…to supermarket distribution centers,” he says. Building with low-code has allowed Kuehne + Nagel to create an application once and then share it across global operations. The low-code applications built so far by the Kuehne + Nagel IT and business teams have focused on contract logistics — including logistics optimization, order management, a portal for operations teams to input data, and customized labels/invoices/packing lists. “In four years…we made 23 applications,” Doeser says. “If you forget the idea that the IT landscape is what it is, it’s amazing sometimes even how easily you can just create another app that will be placed in the middle and will solve an issue which seemed largely unsolvable before,” Potters adds. Using low-code to customize clients’ experiences and keep pace with disruptive e-commerce has allowed Kuehne + Nagel to remain doing what they’ve done for the past 130 years: to keep on delivering.